The week started by showcasing Virgin Mobile’s vPower offer for STD users and SMS fans. Currently there are just a couple of options available but expect more soon. Next up is the Airtel BlackBerry Privilege Pack enticing users to go for BB services by offering free goodies. Ok so we haven’t heard of BPL Mobile much but there’s a new recharge option available to customers enabling them to talk at 50 paise flat. Indian telecom market is growing by leaps and bounds. And if the recent forecast holds true, India is set to become the world’s second largest wireless network making them in front of US. Virgin Mobile’s extensive marketing makes us to talk more about them. We have analysed of what obstacles can Virgin face in getting new customers. And lastly, the controversy surrounding BlackBerry services in India will soon end. Or that’s what we expect as DoT and RIM sat together to work out possible solutions. Bharti Airtel, Vodafone, BPL Mobile and Reliance Communications are currently offering BlackBerry services in India to about 4 lakh subscribers. The whole Blackberry scene came into existence when Tata Teleservices desired to offer the service but was stopped by DoT after security agencies raised concerns about monitoring the content transferred via BlackBerry devices. Security agencies consistently monitor data and emails sent from BlackBerry devices to other devices. BlackBerry services went into trouble when security agencies raised concern that they could not monitor the data being sent from one BlackBerry device to another due to the high encryption codes. According to Indian Internet services rules, operators are not allowed to use more than 40 bit encryption code unless they submit a decryption key to the Government. Thinking Hatke – Is it Working? Becoming a lesbian just to let ur parents allow u to go for a trip, making ur friend ur “pappa” and playing a call girl just to earn that extra 10 paise. That’s truly hatke. The Virgin Mobile ads are all over the TV and are getting people talking. There’s a great buzz about the whole ad thingy, but is it really effective? Only time will say. With great offers being provided by the service provider, we personally don’t see any reason why one shouldn’t switch over to Virgin. We truly believe in trust and won’t take up a new operator till we have full faith in him. Ya, we might sound quite orthodox here, but this is what India is and I guess at least one of those reasons is why u aren’t switching over to Virgin Mobile. PS: we hope u are taking note of this Mr. Branson. I think it’s us who are truly Hatke. With the ongoing growth drive, India is set to become the second largest wireless network in the world. By the month of April the subscriber base of the country is set to cross the 300-million mark. The user base has already crossed the 250 – million mark. Presently, China is the largest wireless network in the world and is adding up around 6-7 million subscribers every month. The US which is currently the second largest mobile market with 256 million wireless subscribers is adding up about 2-3 million subscribers in a month. But, India is expected to surpass this by April as it adds subscribers in the range of 8-9 million a month. With this growing trend we can expect some more telecom players in the market bringing in pocket friendly schemes for the consumers and at the same time telecom players who already form a part of the pie would further innovate their services to surpass competition. Reading between the lines: The conditions are that if one is already in a discounted plan and happens to recharge this one, he/she would be deactivated from the old plan and activated with Jaadu32. Lifetime subscriber at the end of tariff validity would move to his original plan and Non-lifetime subscriber at the end of tariff validity would move to base tariff plan. 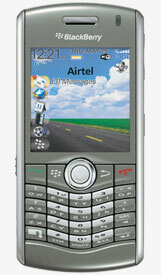 Airtel has come up with an interesting scheme to boost up the sales of its BlackBerry Pearl 8120 handset. With every BlackBerry Pearl 8120, Airtel is offering gifts which include a Cross Pen, a 1 GB Pen Drive and a Leather Business Card Holder. BlackBerry Pearl 8120 is priced at around Rs 25000 and boasts features like a 2 mega pixel camera, Wi Fi support, expandable memory, etc. along with the BlackBerry internet services. When you’ve got power, show it. This is exactly what Virgin Mobile is doing in the telecom circuit by launching some excellent schemes and offers. Virgin Mobile has brought in some hatke STD packs and SMS packs which they call it as vPower offers. Currently they are featuring just two packs under their vPower section. The first one is an STD pack which enables users to make STD calls at Re 1 against the conventional charge of Rs 2.4. This pack is priced at Rs 45 and has a validity of 30 days. So if you’ve got friends everywhere and anywhere, this one is for you. The next pack is for people who text a lot. This pack enables users to make local SMS’s at 20 paise against the conventional charge of Re 1. Users will have to pay Rs 26 for this pack which would be valid for 30 days. 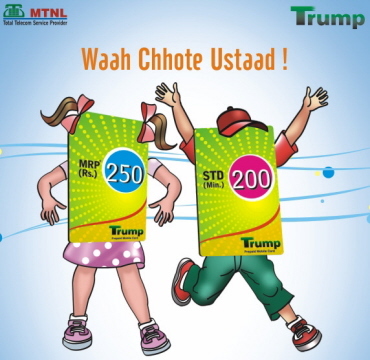 MTNL has come up with a new Trump One India recharge coupon focusing on users using STD facility. This recharge coupon is priced at Rs. 250 and will provide users with a talktime of Rs. 200 valid for 30 days. All outgoing calls (local & STD) will be charged at Re. 1/min and similarly, all SMS’s (local & national) will be charged at Re. 1. We Say: If you want something, you have to forgo something. Although STD charges are cheap, MTNL is trying to leverage the STD benefits with local rates. Presently, the local calls are charged at 90 paise/min and 50 paise/SMS. TeleGyaan Forums is an extension of TeleGyaan.com and provides a platform to people to discuss on topics related to Telecom. This has gone a step further as our members have started posting interesting topics. Thus we have made it a point to regularly put them on the Blog for the unregistered members. Just click on the link, register yourself in a minute and get started. Here goes this first of a kind section post. The topic has been covered by Tarun, a regular on the Forum. Go on and check it out. Do provide us feedback on our Forums too.